When I first sat down to write about the “repair or replace” dilemma, in the back of my mind there was a vague notion that a simple, calculation-based method would be the ultimate solution. I had heard of the 50% Rule and thought that it (or something like it) would be the obvious centerpiece of the decision-making process. However, my thinking on the topic quickly evolved. As I reviewed my own history of grappling with “repair or replace,” especially in the context of my role as a CTO, I found it wrapped up in all the glorious complexity of the problems faced by the entrepreneur. The need a machine fulfills is the driving force behind the decision-making process. The myriad ways in which we use machines to satisfy our desires, along with the constraints and benefits presented by a particular situation, are difficult to express in an equation. Both repair and replacement have a long list of pros and cons associated with them. Depending on the circumstances, the controlling factor that ultimately drives your decision can vary widely. Can a formula take into account all of this complexity, and spit out the correct answer? My first pass left the 50% Rule wanting as a tool: it had no obvious way of incorporating the aspects which I felt were primary considerations, so I completely cut any mention of it from my original piece, “Repair Or Replace?”. Still, I was determined to revisit the issue and test the 50% Rule as a decision-making guide. That’s because I found so many references to it in various advice columns pitched to everyday consumers. Even the vaunted Consumer Reports magazine cites it as a rule of thumb to resolve the repair or replace conundrum. Perhaps the 50% Rule couldn’t describe the complicated decision matrix used to choose a machine for a particular purpose, but maybe it did have a narrower context in which it should be called upon? I wanted to find out. Can the repair or replace decision be reduced to an equation? It’s Still Worth Something, Right? Before we get to the 50% Rule, I want to discuss some basic ways to think about the economic value of repair. Let’s start at the beginning, with the broken system itself: it’s easy to forget that, although a machine is broken, it usually retains some worth. If you choose to forgo repair, you can often receive something in exchange for a non-working system. That something is called the salvage value. In accounting, the term has a specific meaning with respect to depreciation: “the estimated value that an asset will realize upon its sale at the end of its useful life.” Of course, whether or not to extend the “useful life” of a machine is exactly the decision we’re trying to make. Salvage values will vary widely depending upon the type of machine and the market for its components. Many times a car, even in a state of total disrepair, can be sold for parts to a local junkyard. Consumer electronics often fare much worse. For instance, considering a new one can be had for almost nothing, a broken DVD player will likely have no residual worth to others. There’s one more twist: sometimes a machine’s salvage value can be negative if there is a disposal cost involved. While I have sold cars to the junkyard in the past, I haven’t always been successful in this endeavor. I remember when my first mini-van (don’t laugh, it was a pretty sweet ride), which I drove out West when I first moved to San Francisco, was involved in an accident and completely wrecked. I called several local junkyards and was surprised that nobody wanted it—even when I offered it to them for free! I contacted some local tow-truck drivers, who had personal relationships with many more firms than I tried initially, and even they couldn’t give it away. That mini-van ending up having a negative salvage value of several hundred dollars, which included a disposal fee and the cost of a tow. Functional or not, this car is worth about the same. This is one of those rare examples where a machine’s value is independent of its working state. After driving it for a few months, it breaks down. After consulting with a mechanic, it is determined that the transmission is bad and needs to be replaced. The total bill (parts and labor) for a new transmission is $2,000. You agree to the repair, thinking “If I spend $2,000 fixing the car, it should be worth at least that amount afterwards, right?” A year later, you want to upgrade your wheels and put the car up for sale, but are unable to find a buyer in the $2,000 range. In fact, the best offer you get is $500, what you originally paid for the car in the first place. What happened to your significant repair investment? Well, when you bought the car, you had many options of what to do with your $500. Likewise, your potential buyers do as well. Car shoppers won’t care what you’ve spent on the car in the past: they’re only concerned with what their money can buy them now. If the prevailing market price for a similar used car is $500, then that is where you’ll need to price yours if you want it to sell. Sadly, all your $2,000 investment did was to restore the car to the point where it could be considered an equal amongst the other options in the $500 range. Sure, it has a brand new transmission, making it an undeniably better car in that respect, but look at the options from the perspective of a buyer. They could take your asking price of $2,000 and buy four (4 x $500 = $2,000) equally bedraggled chariots, driving each one in turn until it dies. This fix raised the value of the car from its salvage value of $100 to $500, so we can say that the market value of the repair was the difference: four hundred dollars ($400). I know what you’re thinking: unfortunately, we paid $2,000 for this work! This inequality says that the improvement in the market value of a machine should be less than or equal to the cost of the repair. In our case, that was not true. We paid $2,000 which resulted in an increased value of only $400. Instead, we might have had more fun losing it at a casino, or created an art film of ourselves burning the money. At least that would have made for a good cocktail party story. A $50 repair that improves the market value by $400 is a slam dunk. Where Did The Dough Go? The risk of not recapturing your investment is present in so many different situations in life and business. Home renovations instantly come to mind: you can do the same analysis of a dwelling’s price before and after a remodel. It’s very easy to spend money on renovations that do not increase the value of a home by an equal amount, just like in the transmission repair example above. But…where did the money go? How can it just disappear? This brings us to a very interesting aspect of making improvements to your possessions. Whether it’s repairing a car, house, refrigerator, or computer, if you intend to resell it, you have become a de facto entrepreneur. No longer is the decision about the subjective value you receive from a successful repair, but rather about anticipating the future needs of buyers and the market conditions when it comes time to sell. In the case of the transmission repair, even though our product was a one-off, we temporarily became a manufacturer. We took some intermediate goods (a broken down car and replacements parts), hired some labor (the efforts of a mechanic), and created a new product: a lousy car with a brand-new transmission. However, is this something that potential buyers want and are willing to pay for at the price we will offer later on? I think it’s safe to say that the people who desire run-down cars want them precisely because they don’t have brand-new transmissions. That is, they’re trying to save money! We could drive that car another 500,000 miles until the transmission died again, making the repair solely for our own consumption. In that case, any market-based loss would only be theoretical. Whatever the outcome, devoting resources to the fix could be justified exclusively on our own hierarchy of values. Again, the market price is different from how much a repair is personally worth to you. Of course, we’d still need to contend with opportunity costs, that nagging suspicion that our money could have been better spent elsewhere. The $2,000 we dropped on the transmission repair could easily have been allocated differently. Our beater could have been sold for its salvage value of $100. That amount plus $400 from our savings could have been spent on another fabulous jalopy. Our transportation problem solved, the remaining $1,600 could then have been used on…a fabulous vacation to Hawaii! No matter how we forked out that $2,000, we always run the risk of deciding, in retrospect, that it could have been better spent. The original purchase price of the broken machine. The current replacement value of an equivalent machine (i.e., a similarly used one). The cost of a new machine. For a given situation, each of these benchmarks could provide a wildly different answer, tipping the scales in either the direction of repair or replace. Figuring out what the standard should be is going to be our first challenge, and we haven’t even gotten to the math and statistics behind the rule. As time passes, technological change and inflation will make “original cost” a faulty benchmark to use for the repair or replace decision. 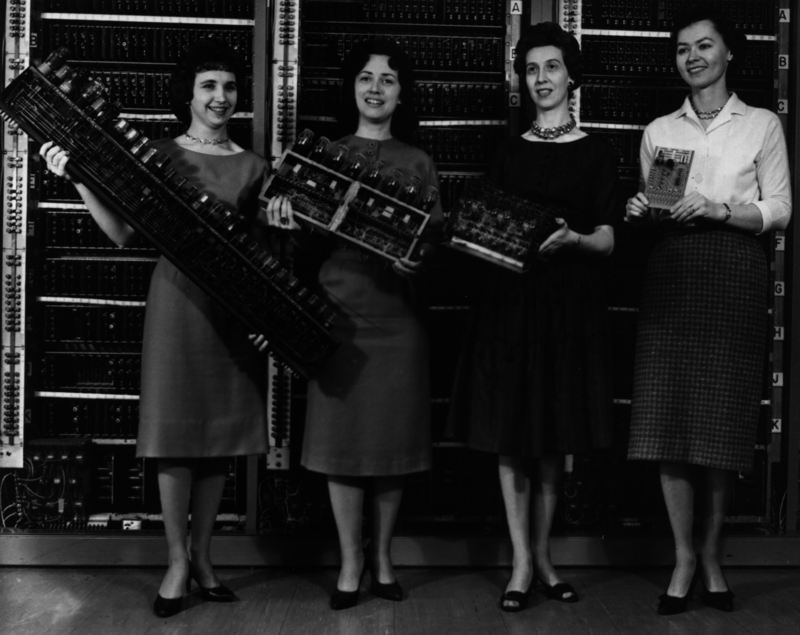 Adjusted for inflation, the ground-breaking ENIAC computer cost $6 million. Even at its original price of $500,000, the equivalent computing power could be purchased today for almost nothing. Using the original purchase price as a standard for the 50% Rule would seem to be the most problematic of all our choices. If a machine is old, inflation will have eaten away at the value of the price you paid for it, making it appear smaller. Using this as a benchmark will sadly tell you more about the misguided policies of central banks and the debasement of your money over time (leading to a wholly different “repair or replace” discussion). While I encourage that introspection, it doesn’t advance our goal of figuring out what to do with a broken machine. Also, it seems like a lot to ask the average consumer to get out a table of inflation statistics and calculate constant dollars, tied to some benchmark year, like economists do. Although, the folks at the US Bureau of Labor Statistics have made it awfully easy to do just that, with this handy web-based inflation calculator. Counterbalancing the effect of inflation on the original cost is technological change, which will make the original price paid seem much larger. 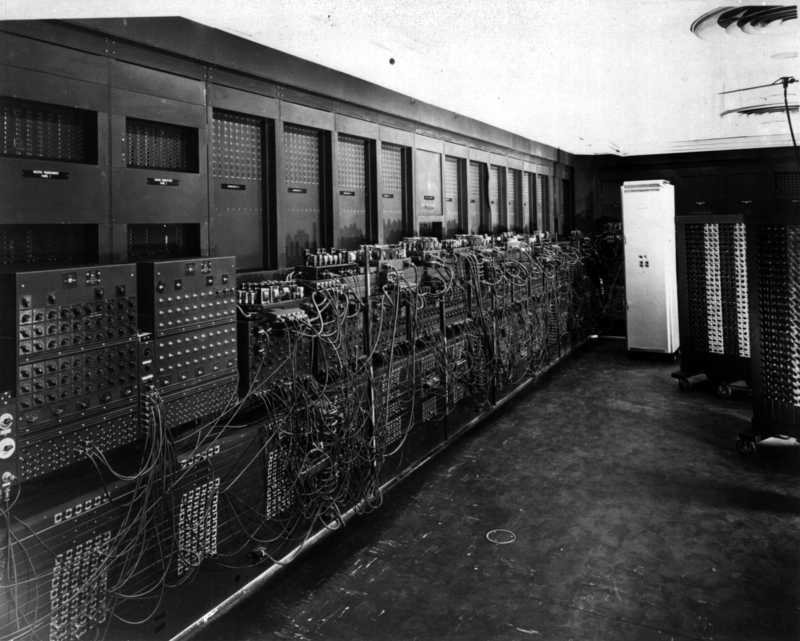 For example, the first all-purpose digital computer was named ENIAC and built at the University of Pennsylvania in 1946. This “giant brain” was built at a cost of $500,000 (about $6 million today). Using that sum to weigh a repair decision, with the idea that you would pay to have another ENIAC built (even just a few years later), is folly. When it comes to industries where rapid innovation is taking place, current designs are often better in all respects and cheaper too. This is definitely the case for most consumer electronics, especially those subject to Moore’s Law. The replacement cost of an identical machine (i.e., a used one in similar condition) would seem like a better choice as a basis for comparison, given that it keeps the variables in play at a minimum. This standard attempts to make an apples-to-apples comparison by asking “How much would it cost to acquire a machine exactly like this?” Of course, you want a machine just like the broken one, with one important difference: the replacement should work! Since the replacement cost is the price as of now, this standard won’t suffer from time-based distortions like inflation or technological change. Finding an available identical replacement is often impossible. You may be contemplating a repair or replace decision for a 2012 Porsche Carrera with 10,000 miles, but what if the closest you can find in your area is a 2011 model with 25,000 miles? To use replacement cost as a benchmark implies that a replacement can actually be purchased! You may be able to look up the theoretical value in a price guide or see recent auction closing prices, but that doesn’t mean that one will be readily available to actually buy. Even if you can find an identical machine, it will not have been used the same way. Imagine two cars, rolling off the assembly line one after the other at a car factory. These twin specimens may be the same make, model year, and have the same installed options. However, one car is delivered to a suburban family and the other to the fleet of a taxi company. After 10 years of use, these “identical” machines will be quite different: their wear patterns will reflect their much different working lives. For relatively rare machines, there may not be a thriving secondary market from which to obtain pricing information. How much would it cost to buy a 1931 Royal Enfield Bullet? It might have been years since one changed hands! Also, are the parties willing to disclose the price paid? How much is your time worth to obtain this information? Remember the concept of opportunity costs before embarking on a wild goose chase for something rare. This amazing photo is a superb visual representation of the pace of technological change, even in just a relatively short period of time. From left to right are comparable circuits boards from the ENIAC, EDVAC, ORDVAC, and BRLESC-I computers. The timeframe between these four specimens is only 16 years (1946-1962), but look at the dramatic miniaturization taking place. When using a benchmark like the original purchase price or replacement value (i.e., comparing a machine to itself), innovation is a key piece of contextual information omitted by the 50% Rule. As time moves on, your needs will inevitably change. This is the biggest problem with automatically assuming an old machine (in the guise of replacement cost) should be revived or searched for in the used market. Machines amplify our purposeful intentions; any rule of thumb that doesn’t take this into account is missing the point about why we employ them. Although general purpose, the ENIAC was designed to solve WWII-era problems: the calculation of artillery firing tables. In contrast, the increased power of the later BRLESC-I (Ballistic Research Laboratories Electronic Scientific Computer, launched in 1962) was needed to solve Space Age and Cold War problems involving nuclear weapons, missiles, and satellites. The ENIAC could perform 5,000 operations per second, but the BRLESC-I could do 5 million. Repairing or replacing an equivalent machine isn’t an option when your needs have changed. It doesn’t matter if we’re talking about a supercomputer, toaster, car, or backhoe. I’ve also decided to do nothing: that is, to neither repair or replace, opting instead to simply cut ties and sell a machine for its salvage value. Especially for those things we employ for leisure (aka, “toys”), you may find that the “need” was weak and your life is better off without them entirely. Maybe you impulsively bought a boat that you thought you’d use every weekend. But, the maintenance hassles and your busy life resulted in the craft only being used twice a year. Perhaps you’d like the garage space back. Remember the old saying: “The two happiest days in a boat owner’s life are the day he buys it and the day he sells it.” The sentiment behind this adage applies to so many things, not just boats! Lately, I’ve gained a tremendous satisfaction from reducing the number of “things” in my life. Your stuff has an overhead which may carry an unwelcome cost of ownership, especially if your life is already full. In these cases, a malfunction may be an invitation to simplify and regain the most precious resource of all: your time. Why Would I Pay More For The Same Thing? If repair costs $240 and an equivalently used replacement is $400, repair is 60% of the replacement cost. In this case, the 50% Rule says to replace. What?! Think about what this means; we are supposedly comparing apples-to-apples. If you could pay $240 or $400 for the exact same thing, which would you choose? That’s right, the cheaper one! When comparing equivalent items, as long as repair is less than the replacement cost, you should repair (and vice versa). For this reason, there’s no way we can use replacement cost as the benchmark for the 50% Rule. Bizarrely, it recommends spending up to 100% more—for the same thing! Perhaps instead we should be comparing the cost of repair to buying a new machine. This has great appeal, given the problems often associated with finding a suitable and identically used replacement. Whether on-line, in a local store, or via a phone call to a sales representative, manufacturers make it very easy to buy new. Information for new products is available in abundance: delivery dates, specifications, and, most importantly, pricing details. Return policies are often generous compared to the “as is” nature of used sales. Warranties mitigate the risk of a buying a “lemon” and give predictability to service costs (at least for a limited time). There’s much to be said for buying new. However, again we run into the fact that choosing new as the standard for comparison of the 50% Rule requires a very important judgement to be made first. Why incur the additional expense of buying new if a used machine will adequately meet your needs? Aye, here’s the rub: with new as the standard, we’re not comparing apples-to-apples anymore. A new machine will have different capabilities, warranties, maintenance costs, and longevity expectations. Presumably, we’d like to assign a dollar value to these advantages and see if the additional expense was worth it. The only thing the 50% Rule would seem to say about the matter is that used is half as good as new. That’s a pretty crude way to evaluate your choices. Because repair is less than half of the cost of a new one, the rule says to repair. Sorry partner, them’s the rules. Of course, you’d be an idiot to do that given that we’ve shown the market value of such a repair would incur a huge loss. The follies don’t end there: keep in mind that the rule would say that we should consider any repair up to $8,500 (50% of $17,000). More nonsense! I’m going to stop here and declare the 50% Rule to be a failure as a practical decision-making tool. The rule requires a benchmark and, as I’ve shown, the ones offered all have serious defects. Using them could result in some very flawed outcomes. seems like a much better alternative. At a minimum, it should be consulted to warn against expenditures that will not be recoverable when reselling. I think that’s the biggest risk most consumers face and a frequently violated expectation. Because the market value of the machine after repair (mpost-repair) is required to make this calculation, it forces you to consider an important alternative for your money: equivalent replacements available in the marketplace. Finally, the value-added calculation is up-to-date, forward-looking, and incorporates the current state of technological progress, while avoiding the effects of inflation and the temptation to consider sunk costs. But beyond the numbers, you need to remain in touch with your needs and how a particular machine is serving them. Have those needs changed? What value does a contraption bring to your life or business? How does that compare to the alternatives available (like new models)? These considerations should come before any repair or replace calculations are made, otherwise you will be led by the garbage-in, garbage-out nature of blindly following the results of a formula. I’m perplexed that the 50% Rule is cited as a rule-of-thumb for consumers. If you have a good defense that addresses the problems I’ve uncovered, or points out something critical I’ve missed, I’m all ears. Tell me what you think in the comments section! Header image: Horydczak, Theodor, photographer. Automobiles. View from front of wrecked automobile. ca. 1920-ca. 1950. Photograph. Retrieved from the Library of Congress, https://www.loc.gov/item/thc1995012467/PP/. The thing to remember is that value is subjective. It is hard to put a number on it, because something which one man is willing to pay $100 for, another man may think is only worth $60, while still another thinks he would pay $130 for. The price of something isn’t the same as its value. Formulas don’t consider the subjective part of value. They deal with prices and costs. Wonderful post!!! How brilliantly you have described this 50% rule. I gad a great time while reading this post and I am glad that I got to know some new thing. Thanks for making such adorable post here. In your example you ask why would anyone buy a new refrigerator for $400 when you can repair the old one for $240. Here’s why: The repaired refrigerator is not equivalent to a new one – the repair does not make it “good as new”. In the real world, appliances fail as parts get worn due to friction and other forces. Usually, if one part breaks or wears out then other parts are soon to follow. It can be difficult to predict what else will fail on one machine, but its possible to generalize by researching what other owners are reporting (ie. google,). If owners of your refrigerator report a myriad of different problems in 15 year old refrigerators then the odds are you will encounter additional problems. A $240 repair is a signal of likely additional multiple $200 repairs to follow so replacement would be the smarter choice. Hi Mike, thanks for reading and commenting. I’m sorry if it wasn’t clear, but in that section I’m talking about “equivalently used replacements” (not new ones). I was trying to make the case that it makes no sense to use the 50% Rule to compare repair of a broken machine with replacement by a working, but otherwise identically worn model. By definition, they’re the same and so you should prefer the cheaper one. You’re absolutely right that buying new gets you a machine without any wear and tear. Likewise that a breakdown may be a signal for additional problems. The problem with the 50% Rule, when comparing buying new and repairing, is that it enforces a fixed ratio between the value of the two options. The many material differences between buying new or repairing may include: use of consumables (energy, etc. ), compatibility, break-in period, effort spent configuring/tuning, installation costs, downtime, throughput, features, warranty protection, etc. Each of these differences could be valued at much more (or less) than what the 50% Rules values them. I get into all of these nuances in my article Repair Or Replace? I would also add there’s great friction in a new frig: delivery, time off work, installation etc., risk of non working item (same risk I suppose for bad repair). Love the article! I get it. Very well presented. One thing you may have left out is the emotional attachment. Does that have value? My adorable 13 year old VW bug (in perfect condition) was parked in front of my house overnight. A hit and run smashed into it at top speed. Damage to rear was extensive, caused the car to wrap around the curb. I don’t know what the frame damage is, yet. This car, in good condition is worth $4,500-$6,000 under 80,000 miles. My car has lots of extras that are not available on other cars. Other used cars similar to this are around $6,000-$7,000 with 50,000-60,000. So, my repair has to be less than $4,500 to make it worthwhile to keep the car. That seems like a lot of money for an older car with 80,000 miles on it. Now, with an accident history. Parking on the street, evidently (tongue-in-cheek). It seems to me that your beloved car is a total loss. Probably you should take the insurance money (you do have insurance, right?) and use it for some other good purpose. Your only consolation is that more than likely the driver who hit your car doubtless has his own broken car problems. His best move might be to enter a 12 step program. Here’s more. The car is drive able. I am driving it to the body shop, today. It may have internal frame damage, in which case, I’m done. .It looks like my repair limit is $2,000. However, I could get another VW that has NOT been in an accident for $3,000 with comparable mileage. But that’s just silly. I planned to drive this a few more years, then invest in another middle aged VW. My car has many extras that most cars don’t have. That is why repairing it is not a totally bad idea as long as it stays under $2,000. Now, tell me why this is a bad idea. I want to view all the angles. If you’re really interested in working through “all the angles,” you should look at my Repair or Replace Worksheet. Using that, you may uncover a relevant factor that ultimately guides your decision. To give you just one example of what’s in the worksheet, a consideration for any repair is “timeframe”: a complicated repair may take weeks to schedule because of the need to order parts, etc. If you absolutely had to have a working car sooner (and didn’t want the additional expense of renting in the meantime), then repair really wouldn’t be an option at all! I did that.That is how I came to $2,000. I live in a city, so not having a car for a while is ok. I will not be able to afford a comparable car. I will have to do with less, if I get something else. I had a minivan for work. Its value was probably $1,500 5 years ago. I still put new breaks on because it was running fine. Of course, that is not a total crash repair. Estimate to come this afternoon! It may not be a bad idea to repair your car, but only you can make that decision. Value is a subjective concept. What I or Jason or anyone else might consider a total loss might not look that way to you. Jason’s worksheet is a great guide, but I’m pretty sure he also would agree that the repair/replace decision involves other factors that are personal to the decision maker. It has 69,000 miles on it, not 80,000 as I guessed. It was garaged for 10 years and babied for 13. I drove it, today to see if it had any odd wiggles. Nope. As I looked at the car, this morning, I finally figured out how the accident occurred. The oncoming car hit the parked car’s driver’s side wheel cover/bumper at an angle. This tipped the car over (Its a bug!). The weight of the car fell onto the car, forming the shape of the curve in the lower part of the car door and broke the forward part of the right wheel cover. The estimate came back at $1,400! This is the pricier body shop but I like this business the best. Honest, good work. I should get several more estimates. Happy that this is not as bad as it could have been. Most of it seems to be labor. I am not an insurance expert, but I assume you may have liability insurance on the car, just to be able to drive it. That might also include coverage for damage from an uninsured motorist. It might be worthwhile to contact your insurance agent to see if the circumstances of the accident qualifies for them to pay for your repairs, or at least some part of them. Great article and very informative. Would have been nice to see more evaluation of the subjective values in making such a big decision and evaluating the probability of failure from going repairing versus repairing the vehicle. If there is a 30% chance that used parts will fail within a year then that probability needed to be calculated in the repair cost. Formulas do consider the subjective attributes. That is what value functions and sensitivity analysis are for. Any applied differential calculus approach that incorporates conjoint value functions and mid value splitting can take your subjective values and quantify them. End result is that you have better comparison between repair and replace. Utility has to be quantified to better drive your decisions whether with card, marketing, finance, etc. Formulas do work in certain situations, and can be very helpful, but they do not always result in the best outcome. Where you can identify all of the significant factors involved in a decision, formulas do help, as you point out, to quantify ideas so that you can manipulate them and come to what might rightly be called a more objective answer. But human beings have a habit of sometimes doing things just because. There are times when you feel more like having a hot dog than a hamburger, but you can’t say why, since there are other times when you feel the opposite way. Sometimes, even in repair/replace decisions, there are factors that remain hidden from personal view, but nevertheless put pressure on the decision. It helps to be aware that this happens, and to respect the reality of those factors. They’re part of what makes us individuals. It explains why some men prefer Levis, but I would rather wear Wranglers. In my articles about “repair or replace,” I’m trying to connect people with the broader context in which a machine is used. Re-aligning with that underlying purpose should come before the use of any equation. Once that’s resolved, I’m not opposed to using data and formulas to make the decision. I offer the value-added calculation here and in my “Repair or Replace Worksheet,” in addition to a systematic inventory of the most common factors that can tip the scales one way or the other. You mentioned an example where there is a “30% chance that used parts will fail within a year.” It would be great to have data like that! However, I’ve found it’s extremely rare to have information that rigorously covers the full spectrum of “repair or replace” options for a given situation. This data is often hidden (e.g., manufacturer warranty databases), expensive to gather, or is difficult to compare side-by-side. Even with good data, you still end up having to weigh the different mixture of risks, costs, and benefits presented by your various options. As Larry mentioned, how you choose among them can simply be a matter of personal preference. How much is speed, reliability, safety, certainty, or time saved worth? And to whom? Whether you’re making the “repair or replace” decision on behalf of a customer, employer, or yourself, there will be many different answers. For example, let’s say brand X’s replacement parts have a 10% chance of failure in a year and brand Y’s have a 1% chance. But Y’s parts are 100X more expensive. Which is better? Of course, it depends greatly on who’s paying and what’s being repaired! There are situations where failures are extremely expensive or deadly (satellites, airplanes, etc.) that may easily justify the higher cost. If the repair is temporary or the stakes are low, it may make sense to choose the cheaper option. Further, your resources may constrain your choices (like when I only had $50 to fix my car). One important thing that seems to be left out is the time you have to take to fix the problem. You cannot pay 200$ and have your fridge repaired in a flip of a second. You have to take a appointment with a technician, wait a few days, be there when the technician comes; all of this represents works to be done (by you) and has a cost. Likewise a used fridge won’t (usually) be available delivered while your repaired fridge is right there at the right place. If you take this into consideration, the fastest and easier way to fix the problem might be the best solution, especially for relatively inexpensive appliance. Even the decision “procedure” (repair or replace) has a cost (pondering the two solutions take time that could be used otherwise). Great point about the many other costs associated with either repairing or replacing: you’re absolutely right that the amount on the bill, for either option, isn’t the only consideration. Yes, even the time spent determining which avenue to pursue has its own price that can be measured in other courses of action foregone (economists call these “opportunity costs”). I address many of these nuances in the other articles I’ve written about repair/replace and troubleshooting economics (see Repair Or Replace? and The Economics Of Troubleshooting for more), and attempted to distill them down for practical use in my Repair Or Replace Worksheet. A friend of mine has been looking into automotive repair and has been asked about the “50% rule”. I really like your point about salvage value because people often forget old parts are worth something to someone. In my opinion, if you know the value of each part of your car, you can better determine if you need repairs or a replacement. I’ll pass this on to him! Thanks for the help! Great article. Really got me thinking about this in a new way. I’d actually never heard of the 50% rule. However, it seems to me that maybe there is some threshold below which the simpler 50% Rule makes more sense just given the time and effort (labor costs) that would go into the Value Added Repair Calculation (done properly). Say, anything under $1000 replacement costs, just the use 50% rule. Anything over $1000 replacement cost, use Value Added Repair + Repair or Replace Worksheet. Or perhaps use some salvage value as a threshold. Either way, it seems that the lower the costs involved, the less time and effort would be justified computing Value Added by the Repair. Certainly, we wouldn’t bother computing all this and going through the worksheet for a $50 calculator? I think you may have touch on this when you mentioned the DVD player. I’d love to hear your thoughts about this. How would one go about calculating where that (50% Rule vs. Value Added Repair) threshold is? Is $1000 the right number….$800, $1500? Thanks for reading and commenting, Craig. For all the reasons discussed in the article, I believe the 50% Rule is a poor decision-making tool for the repair or replace dilemma—at any dollar amount. Yes, if the stakes are high, the research required for the value-added calculation is more likely to justify the cost. But, when the stakes are (seemingly) low, I’d still recommend taking a brief moment to understand a broken machine’s role in your life or business. What benefits does it provide to you? A meltdown is a chance to reassess your needs and how the machine in question is meeting them. Maybe you want more (or less) of what it can provide for you. Figuring this out can be quick. A brief glance over the list of factors I wrote about in “Repair or Replace?” should uncover the ones that are the most important (a condensed version of this list is also included in the Repair or Replace Worksheet). Would it be beneficial if the machine could process more widgets per hour (“throughput/features”)? Do I want to save money on my electricity bill with a more efficient model (“use of consumables”)? How fast do I need a fix (“time to resolution”)? Etc. After all, if a machine really doesn’t matter to you, why take any action at all? Okay, so your cheap calculator breaks. What do you use it for? Is it just something that takes up space on your desk and that you’re glad to be rid of (because every smartphone these days has a calculator app)? Or, do you use it to accomplish something important? I always strive to understand what a broken machine does for the person who wants it repaired or replaced. This context needs to guide the process, because even relatively inexpensive things can be critical paths for important operations. Perhaps this is why I don’t think I’ve ever personally seen (or heard of) someone using the 50% Rule to make an actual repair-or-replace decision. Here’s an example that illustrates how other qualitative factors usually dominate the process: take the case of a broken vacuum cleaner, owned by a freelancer who cleans offices. Repair of the vacuum would require $25 in parts and 1 hour of a technician’s time at $75/hr ($25 + $75 = $100). A new vacuum cleaner would cost $1,000 and an equivalently used model could be purchased for $500. So, we’ve got three options at $100, $500, and $1000. Since it’s so much cheaper, I think most people would choose repair in this situation. Depending on the benchmark used, the 50% Rule would seem to favor repair too: $100 ÷ $500 = 20% or $100 ÷ $1000 = 10%. But, what if I told you that the parts are back-ordered and will take 2 weeks to arrive? Plus, it’ll take another week to get on a busy technician’s schedule to actually make the fix? The fact that this vacuum cleaner is used for someone’s livelihood means that: the opportunity cost of being without one will drive the quest for a solution. Three weeks of lost business and client goodwill would be unacceptable. Try telling your customers that you won’t be vacuuming their offices because the “50% Rule” told you it was the best option. Good luck with that! Now, maybe you could get the repair shop to loan you a vacuum cleaner while yours is being repaired. Or, maybe the local vacuum cleaner dealer will give you a trade-in discount for the broken vacuum (meaning that you’ll be able to realize the salvage value without much effort). Perhaps you search YouTube for a DIY fix. Whatever you do, it’s doubtful that you’ll pay much heed to the 50% Rule, which simply can’t tell you that a broken vacuum is threatening your business! That’s a very awesome article. The way you have described the 50% rule is commendable. I believe by the right calculation and formulas you can predict the outcome but the result won’t be same the same as your predictions. I am very interested to learn as many different ways of evaluating “repair vs replace” decisions and this article seems like a great resource. Can you explain in a different way? In my mind the formula and the explanation are conflicted. Think of the repair process as a transformation. You take something that is broken and make it work again. However, making a repair takes time and resources. Will a particular fix be worth it? The value-added calculation discussed in this article is one way to answer that question. It simply looks at the change in the market value of the machine, comparing the value BEFORE it was fixed with the value AFTER it was fixed. Then it compares that difference to the cost of the repair itself. In other words: you might have improved the market value of a broken machine by fixing it, but HOW MUCH did it cost to achieve that result?